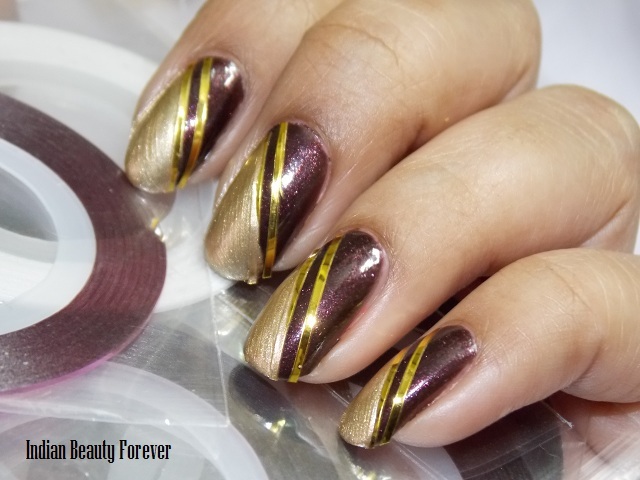 I will post this nail art today. Its actually after such a long time that I did a nail art. I really loved doing it. 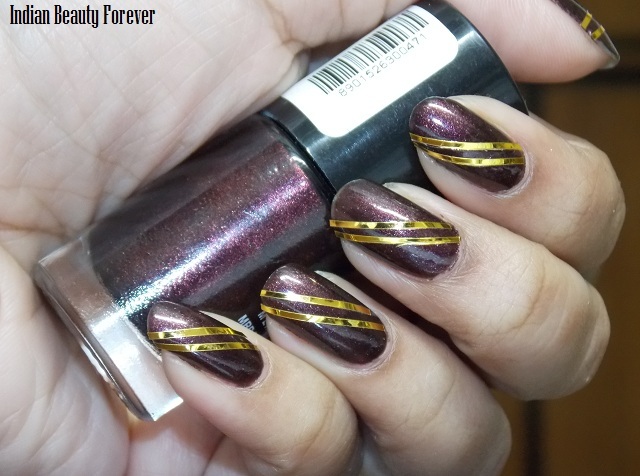 It’s the Maybelline Color show nail polish that had made me try couple of nail arts and some of my friends' nail art blogs, I get smitten by their impeccable and incredible nail designs. Very talented Girls they are!! Anyways, Coming back to the nail art, I did this nail art in just a couple of minutes and it can be an easy way to jazz up your nails. 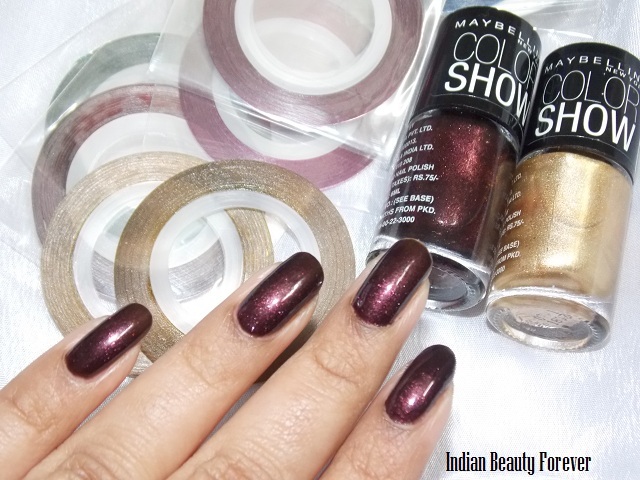 I already had this wine and dine nail paint from Maybelline color show range, over which I have used gold colored nail art stripping tape. I started with two parallel diagonal lines. Then painted the half part of my nail with bold gold. 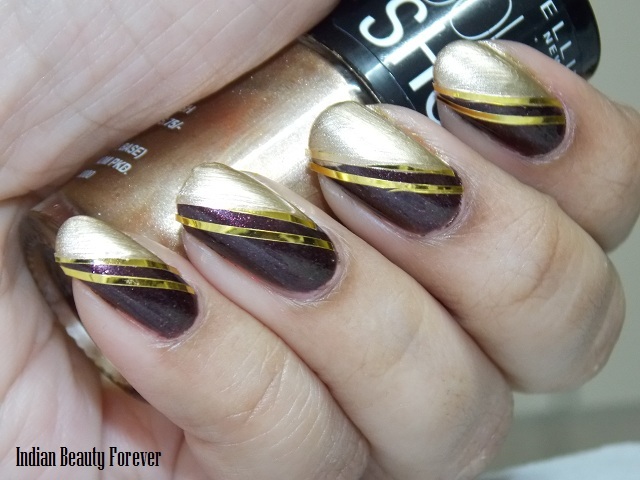 Bold gold is such a thick color that in just one coat it can perfectly hide the darker wine and dine underneath. Excuse me for the nail paint on my skin, this time, I didn’t use the polish corrector. I applied a top coat after finishing the manicure so that the manicure can last longer and the tapes can be more secure.